NMM 7384. Harpsichord by Andreas Ruckers the Elder, Antwerp, 1607. Ex coll. : Wolfgang Ruf, Emmetten, Switzerland. NMM 7384. 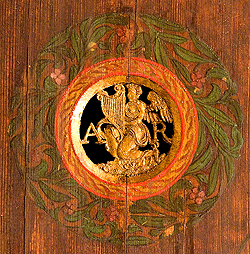 Harpsichord by Andreas Ruckers the Elder, Antwerp, 1607. Single manual. Disposition described below. 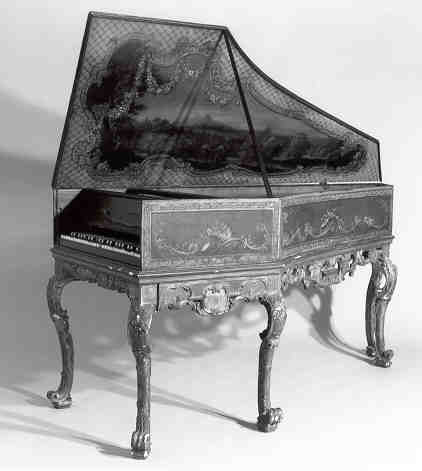 The earliest known dated harpsichord by Andreas Ruckers. 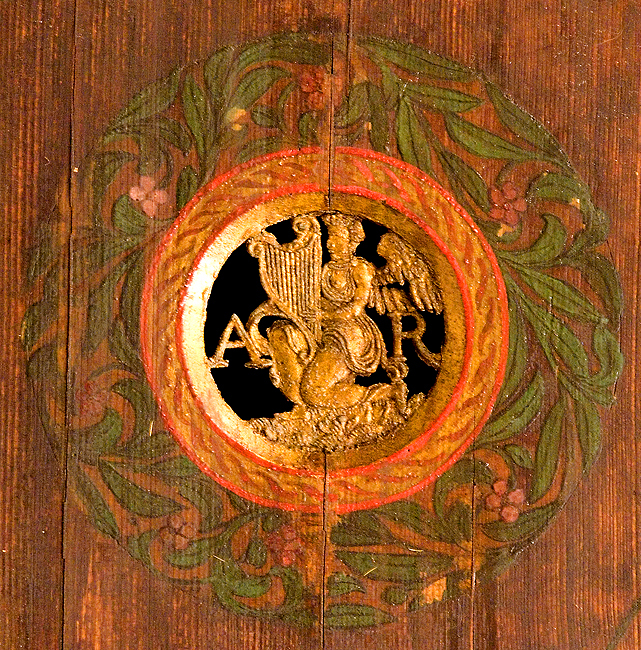 Rose with "AR" flanking a harp-playing angel; soundboard with painted decoration including the date "1607"; although the case was redecorated during the 18th and/or 19th century, it is essentially unaltered, retaining its original dimensions, internal construction, bottom board, and tool compartment with a door in the spine. 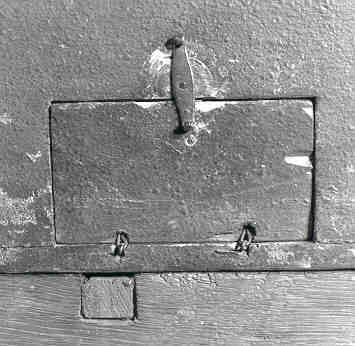 The original bridges, nuts, and key frame were retained in the petit ravalement during which the keys and action were replaced. The date "12 octobre 1757" is written on the key frame. Ex coll. : Wolfgang Ruf, Emmetten, Switzerland. Rawlins fund, 1999. 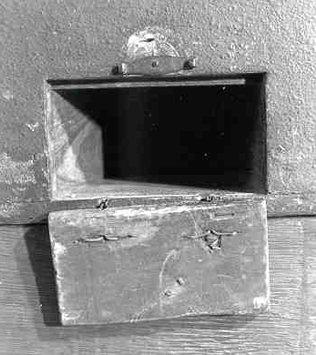 Length 1812 mm; width 720 mm; height of case 245 mm with the bottom board, 230 mm without. Compass C/E to c3 (45 notes); disposition 2 x 8'. Compass C to d3 (51 notes); disposition 2 x 8' + 1 x 4', with buff stop (divided at b) simultaneously affecting both sets of 8' strings. The longer 8' c2 string is 363 mm long. Click on image below to see larger image.